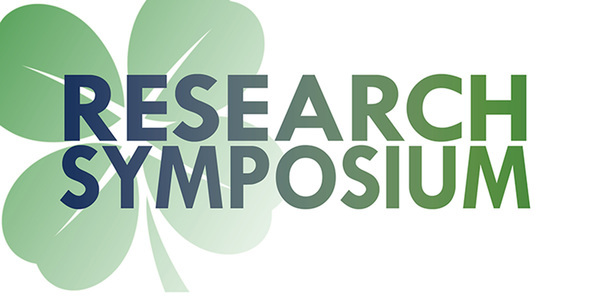 The inaugural ND Energy Research Symposium will be held Wednesday, April 18, from 8 a.m. to 5:30 p.m. in the Notre Dame Conference Center at McKenna Hall. This event features keynote speaker Sally M. Benson, co-director of the Precourt Institute for Energy at Stanford University, and several presentations from faculty who recently received early career and large-center research awards. There also will be a poster session, showcasing the energy-related research projects of associated graduate students and postdoctoral scholars. This event provides a unique opportunity to recognize faculty for their achievements in energy research and creates a venue for the Notre Dame community to learn more about energy-related research at Notre Dame and to network with others who have similar interests in sustainable energy and the environment. This event is free and open to the Notre Dame community and invited guests. Faculty presenters will be Peter C. Burns, Massman Professor of Civil and Environmental Engineering and Earth Sciences: Haifeng Gao, Associate Professor of Chemistry; Amy Hixon, Assistant Professor of Civil and Environmental Engineering and Earth Sciences; Sharon Hu, Professor of Computer Science and Engineering; Vlad Iluc, Associate Professor of Chemistry; Tengfei Luo, Dorini Family Collegiate Associate Professor of Aerospace and Mechanical Engineering; Michael Niemier, Associate Professor of Computer Science and Engineering; Jennifer Schaefer, Assistant Professor of Chemical and Biomolecular Engineering; William Schneider, Brosey Professor of Engineering; and Na Wei, Assistant Professor of Civil and Environmental Engineering and Earth Sciences. The full agenda and links to presentation abstracts and biographical information can be viewed here. Graduate students and postdoctoral scholars are invited to submit abstracts to present their energy-related research projects during the poster session. Awards will be presented to the top three projects based on specific criteria. Abstracts are due April 2. Registration for the symposium is not required yet appreciated to help plan for enough food and materials. Attendance will be open and flexible throughout the day, allowing for participation as schedules permit. 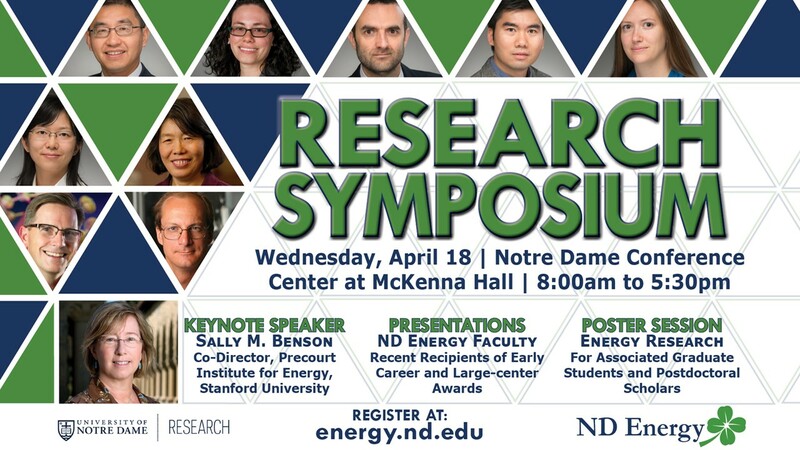 Complete details can be found on the ND Energy website at: https://energy.nd.edu/research/research-symposium/.